Two Russian football fans jailed in France over mass disorder at the 2016 UEFA European Championship will be extradited to their homeland on Tuesday. 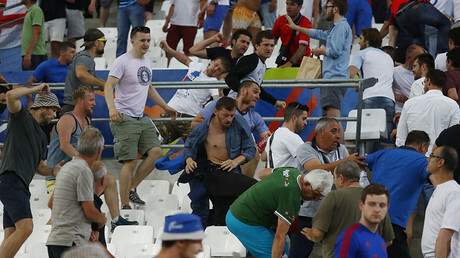 Aleksey Yerunov and Sergey Gorbachev, both 29, were imprisoned for their part in unruly scenes surrounding the Group B match between England and Russia at the tournament last summer. They are said to be leaders of the Russian Fans’ Union. Initially, the two were sentenced by a Marseille court to 24 months and 18 months in prison respectively. However, those terms were later reduced to 18 months and 15 months. Gorbachev initially denied the charges, saying to French outlet L'Equipe: "I want to apologize. I admit that I was there [in Marseille], but I didn't beat anyone. My hands are clean." The pair submitted a petition for their release on probation and deportation from France. “By order of the authorities in France, they should be deported tomorrow, January 17,” said the Russian general consul in Marseille, Sergey Molchanov, TASS reported. One other Russian fan, Nikolay Morozov, who had been sentenced in France to 12 months in prison, was released from custody at the end of December. He had already been sent to Russia. 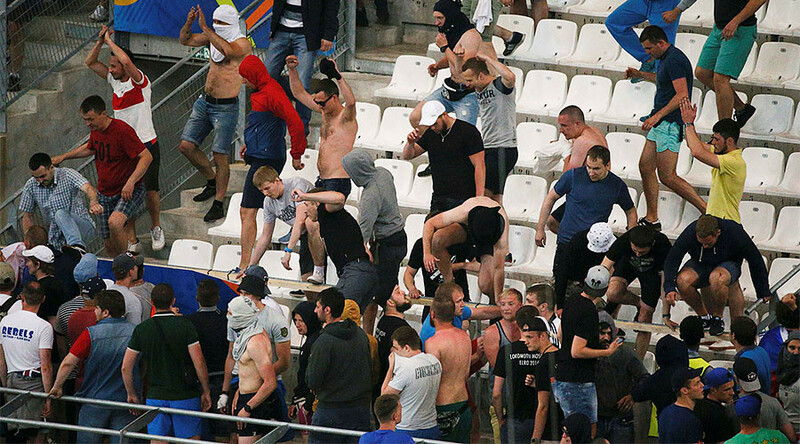 Around 20 Russian football fans were deported following violence in France last summer. Among them was Alexander Shprygin, head of the All-Russian Supporters Association (ARSA), who was traveling on a bus with a contingent of Russian fans en route from Marseille to Lille on June 14. The passengers were detained by French police and held in custody for over 24 hours. The decision was taken due to security concerns, as the authorities see the detained fans’ presence in the country as a “potential threat,” the R-Sport agency reported. “No other reasons have been named,” it added. Twenty people were subsequently released and another 20 were sent to the deportation center and later deported. Upon being re-elected as president of the Russian Football Union (RFU), Vitaly Mutko claimed the ARSA had “discredited itself” following its members’ brushes with the law. “We had to react to that,” Mutko said.